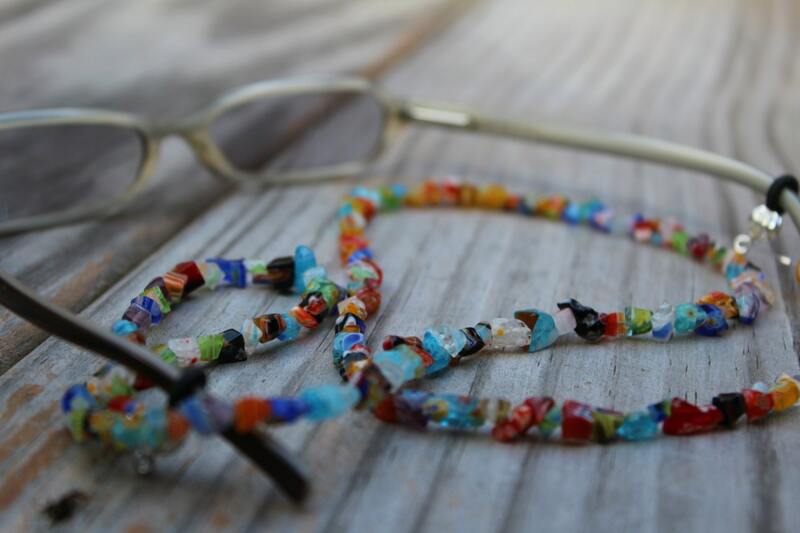 This is a colorful Millefiori Eyeglass Chain that is full of fun and detail! It's a wonderful accessory in that it matches any color, yet looks amazing with black and white as well. 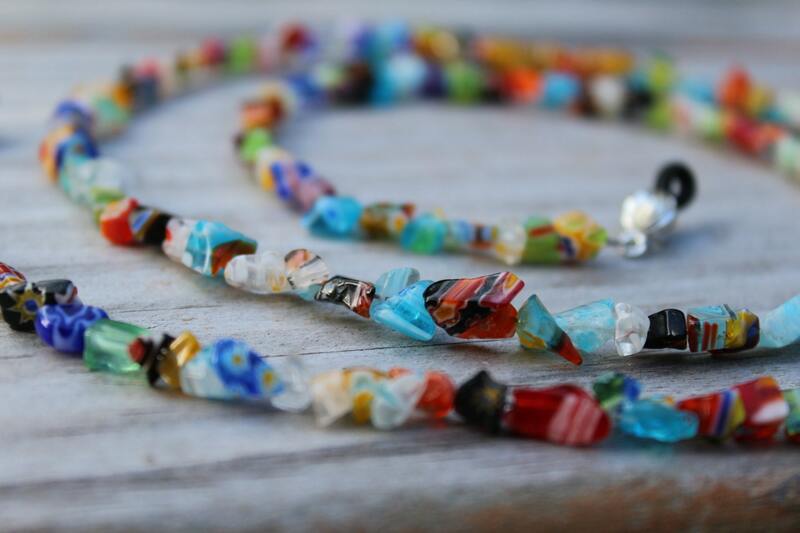 Millefiori beads are so special because their color penetrates throughout the entire bead. They are not painted or surface, they are made from colored glass canes that are layered. So the gorgeous colors are vibrant throughout! 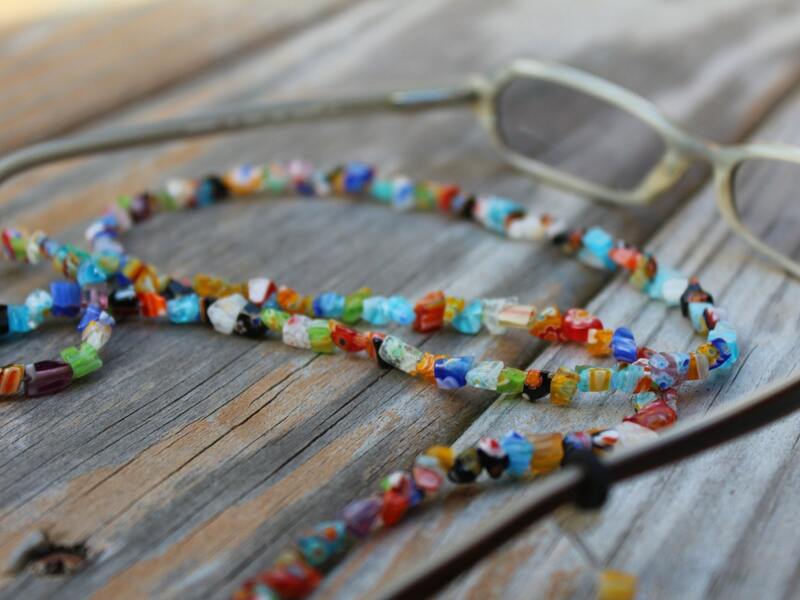 Wear your glasses in style using this very unique, fun, and simple eyeglass chain. It is useful and convenient and also makes a wonderful gift! 28, 29, or 30 inch lengths available. *Please note: The bead colors and order will vary from chain to chain. 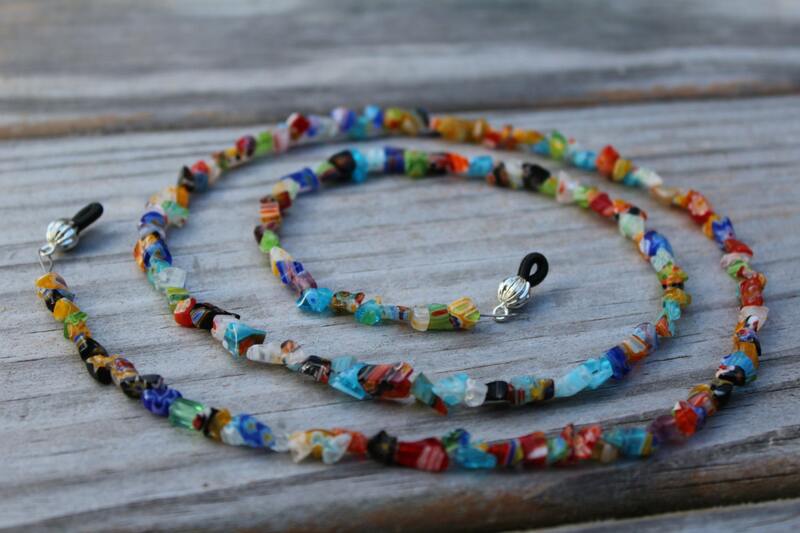 Due to the handmade nature of these beads, no two will be exactly alike. I bought two lanyards and they are both gorgeous . The first is in the picture above. The second I am posting the piture of. High quality hardware too! Very colorful beads to go with my bright blue frames. They seem to be sturdy and well made, they fit my frames well. I'm confident they'll help me to keep up with my glasses while they're stylish and pretty.